To commemorate its 100th anniversary this year, the makers of the LA VICTORIA® brand, the iconic, Southern California-based maker of salsas, taco sauces, enchilada sauces and chiles, today announced an art contest in San Francisco to help bring to life its embodiment of the “Modern West Coast Lifestyle.” From now until May 31, the makers of the LA VICTORIA® brand invite San Francisco artists to submit original artwork to be considered for an opportunity to participate in the brand’s commemorative anniversary celebration on June 22. Five finalists will be selected to attend the dinner; one will be awarded a grand prize of $7,500, while the second- and third-place winners will take home $1,500 and $1,000, respectively. All finalists will also receive salsa prize packs. To enter, residents must submit photographs of five original works of art; any form of the visual arts will be considered. Five finalists will be chosen and asked to create one additional piece of art that embodies the LA VICTORIA® brand and its philosophy of the “Modern West Coast Lifestyle.” Be it a Golden Gate Bridge scene, a view of the city from Dolores Park, or a Twin Peaks hike, artists are encouraged to bring their creativity while giving an artistic nod to the LA VICTORIA® brand. The finalists will exhibit these works at the celebration dinner. The celebration in San Francisco will take place Thursday, June 22, at The Here Collective. In addition to showcasing the artwork of the contest finalists, the brand will partner with a local chef and musician to honor Mexican-American culture and tradition while celebrating LA VICTORIA® Brand’s modern, West Coast approach. Following the San Francisco event, the makers of the LA VICTORIA® brand will travel to Portland to continue the festivities. For Official Rules or to enter the art contest, visit http://lavictoria.com/100Years during the entry period and submit five works of art and other requested materials. 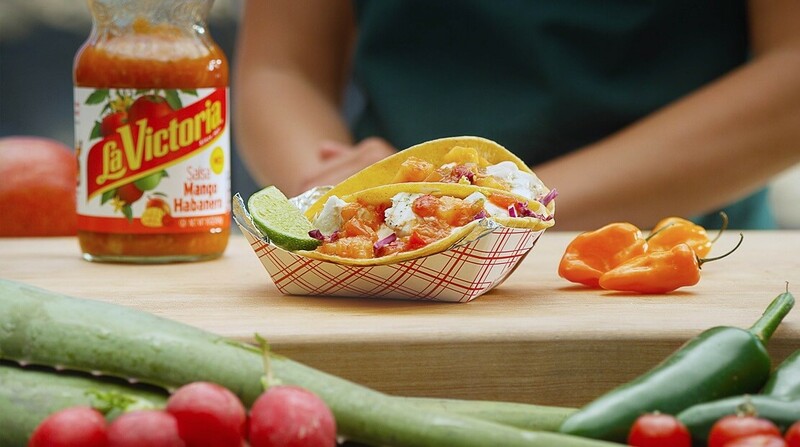 For more information about LA VICTORIA® foods, visit http://www.lavictoria.com. Cross Country SPAM; The SPAM Tiny House of Sizzle is Now on Tour The SPAM Brand is once again crossing the country on another food tour aimed at those who have never tried SPAM. I Went to the World’s Biggest SPAM Festival It’s huge in Hawaii, making it an obvious place to host the biggest Spam party on the planet.